I was born in Sydney on 17/2/84 and have lived in Canberra since 1988. I played Rugby League from the age of 7 – 19. I was a Junior Canberra Raiders representative in the Harold Mathews and SG Ball sides and played first grade for the Queanbeyan Blues at the age of 17 as front rower. I walked away from a career in Rugby League to follow my heart and pursue a career in combat sports. I am a professional Boxer with a record of 7 fights, 5 wins, 1 loss, 1 draw and 4 KO, I won the Australian Heavyweight title on my 2nd attempt in February 2015. I’m also a professional Kickboxer with a record of 49 fights, 36 wins, 10 losses, 3 draws, 33 KO. 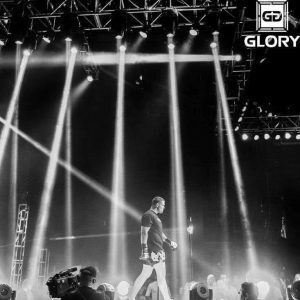 I have fought all over the world including a victory at the famous Madison Square Garden, I have one more fight under contract with the Glory promotion which is the #1 in the sport. I am currently ranked 4 in the world. I have also had 2 professional (limited rules) MMA (Mixed Martial Arts) fights with a record of 2 fights, 2 wins, 2 KO. I have one of the highest knockout percentages of any combat athlete in the world at 88%. I started fight training in 2003 with my first trainer the late John Verran followed by Jamie McCuaig and Stuart McKinnon. I train boxing under Gary Hamilton and Alexy Muchin and have started grappling with the hills brothers at Hills Sports Academy and Epic Jiu jitsu and will continue my striking at Stockade training center, apart from several regional and national titles (Australian Heavyweight Boxing champion) I am a 3 x ISKA (International Sport Kickboxing Association) World Champion. I also hold the world record for the fastest kickboxing tournament victory ever, defeating 3 opponents in one night all by KO in a total time of 3min 28sec to qualify for the K1 top 8 (top 8 in the world) tournament in 2010. My first boxing fight was a first round KO against notorious ex NRL player John Hopoate. I have intermittently pursued boxing and kickboxing as I am a prizefighter and fought for money but have now decided to, after 12years of fighting to take on my 3rd combat sport in MMA. I will make my debut in early 2017. I am 6’3 and fight at 110kgs – 120kgs. I am part of the ‘ Give yourself an uppercut ‘ podcast. I was relatively late to catch on to the pod cast world, my wrestling coach Denis Roberts introduced me in 2014 and they have been a major part of my life since. Everything from philosophy, health, sport, comedy became a part of my daily life at any time I desired and I feel with my life experiences and travels in the rare trade of a professional fighter and I enjoy sharing similar funny, eye opening, positive experiences with you all.